The stove is here! 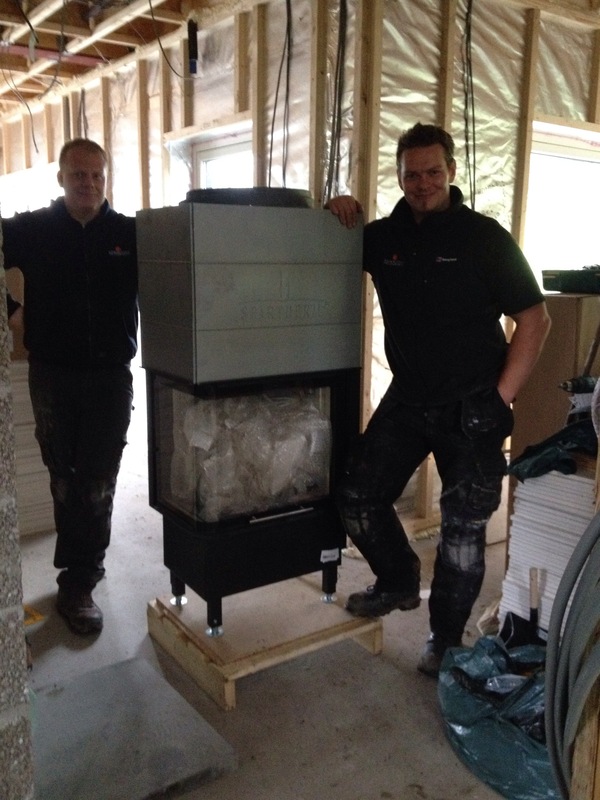 A very exciting day with Verek and Matt of the Kinross stove company getting this long planned and brain-exploding stove installed at last. This build may have been about problem after problem after problem but this was a case where all that planning and drawing sketch after sketch appears to have paid off. The stove was the right size and the flue fitted through the ridiculously small allowance for it. 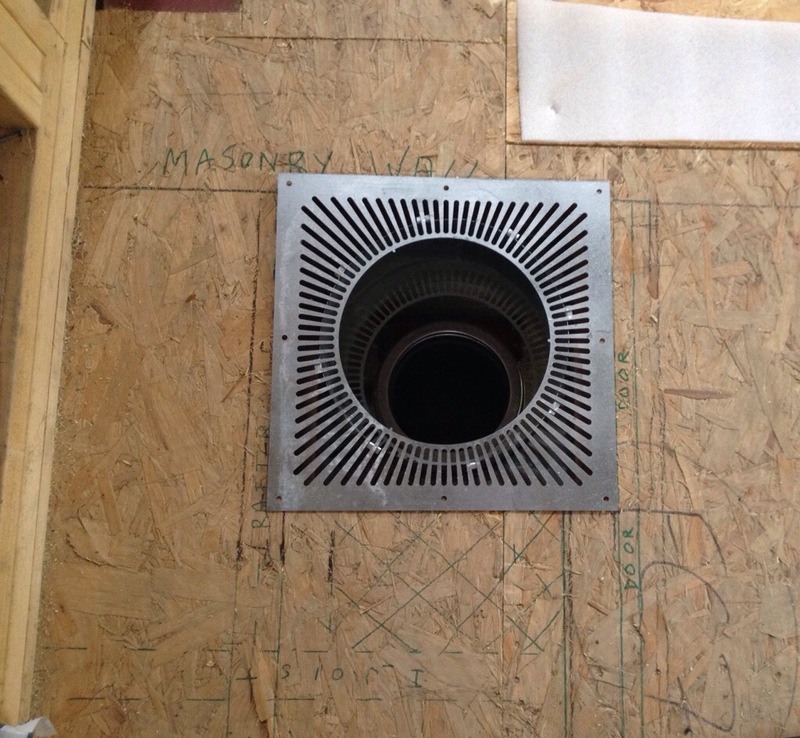 And here’s how the flue amazingly just fits into the space. Up at the house the stove fitters were nowhere to be seen. 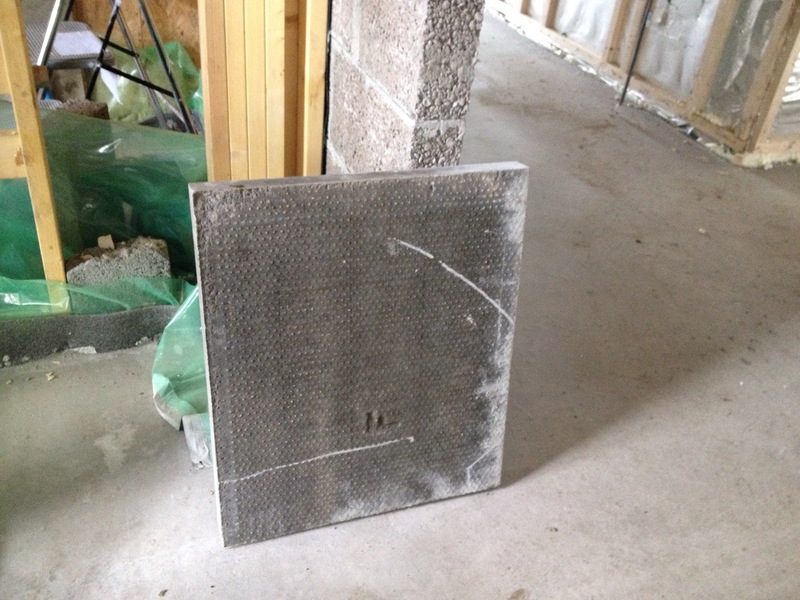 But Builder#3 arrived with a slab exactly the right size. I should have had faith. Our stove fitters were up a track by a locked gate ‘in the middle of no-where’. But eventually they arrived on site and proceeded to be unbeleivably efficient. 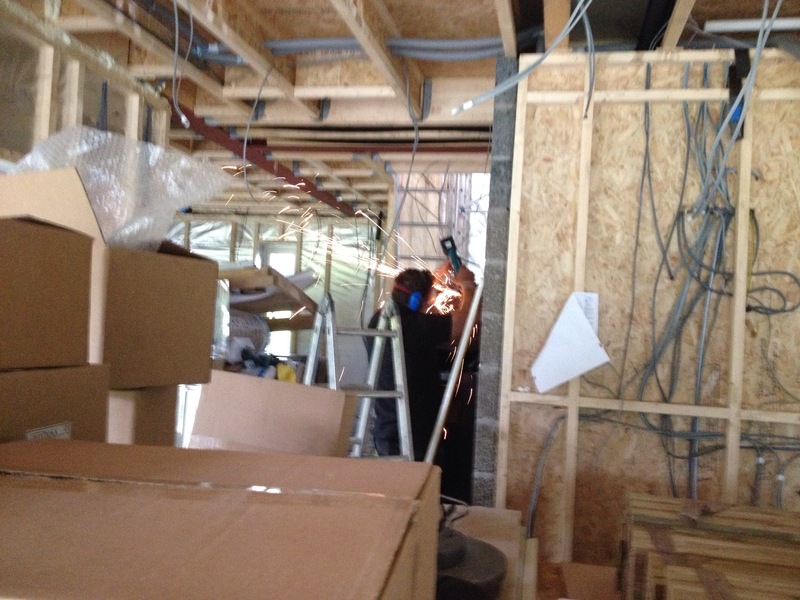 They worked out a path into the house avoiding the piles of plasterboard for the hefty stove and then it was in place. The flue fitted through the space allowed for it (once Verek had reduced the length of the connector – sparks everywhere). It all seemed effortlessly smooth. 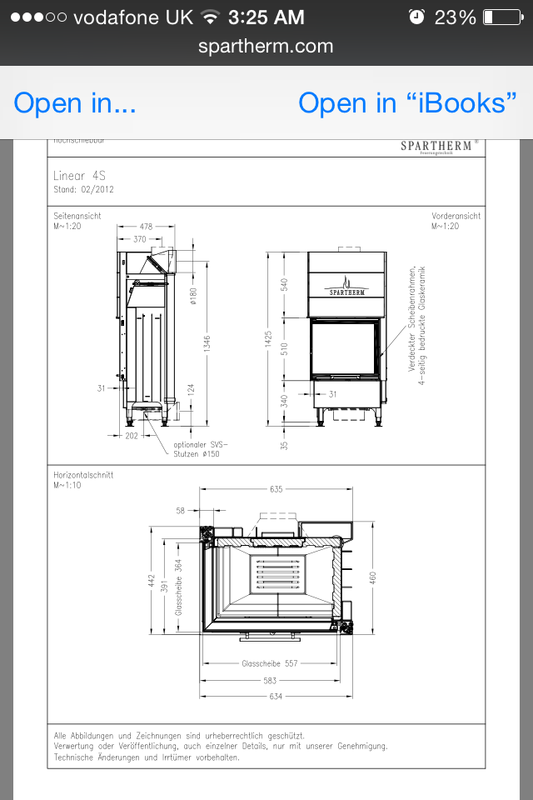 The stove is a spartherm varia 2L. 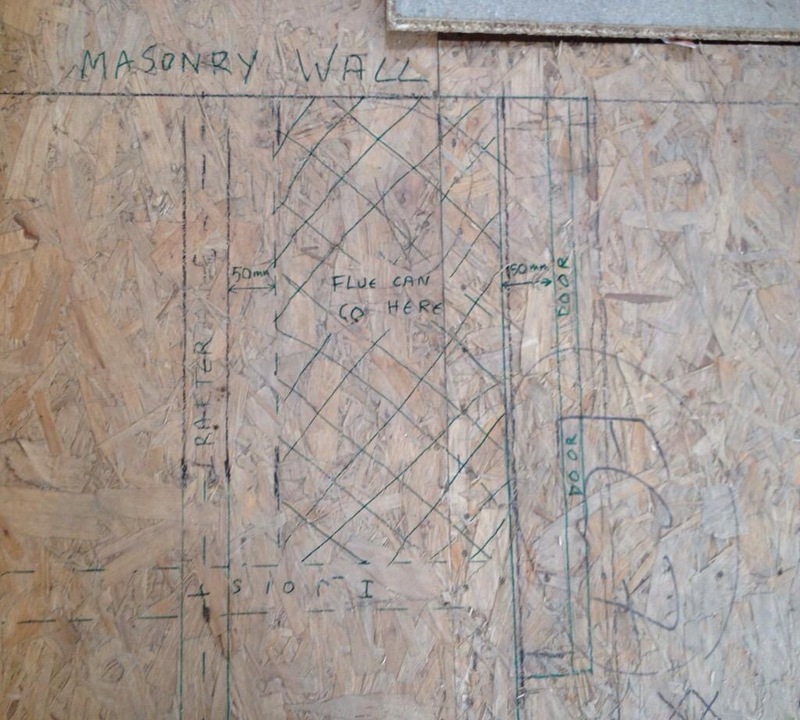 It’s designed to have blockwork or fire board around it so it is inset into the wall. The dimensions of the house meant that we had a very limited space where the stove could go in. And this was the one that fitted. I was buzzing around them like an anxious bee but they really had it sorted. After all my stove angst it was actually working. I left them to it and went back to Glasgow. 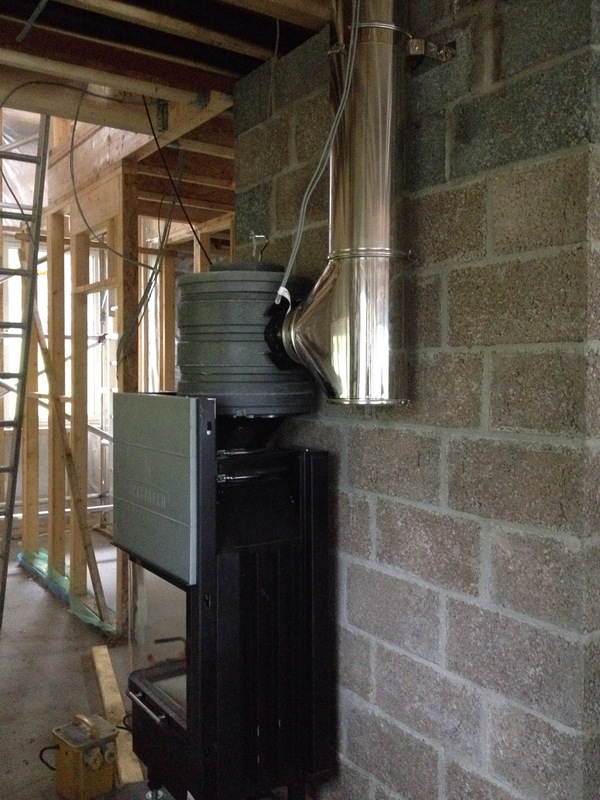 On the second day the whole lot was finished – flue in, slater in to slate round the flue, the air pipe* sealed in. We are ready to go! the stove came with two guys but I think I was supposed to send them back after the installation.